On December 3, 1864, 150 years ago today, War Department General Orders 297 reorganized the Army of the James along racial lines, creating the all-White Twenty-Fourth Corps and the All-Black Twenty-Fifth Corps. During the month of November 1864, Benjamin Butler’s Army of the James was mostly stationed north of the James River, holding lines captured during the Fifth Offensive in late September 1864. This left the newly arrived “high-number regiments” of the Provisional Division, composed of Pennsylvania regiments numbered in the 200s, to hold the line on Bermuda Hundred. These men were very inexperienced, especially in the skills needed to patrol the picket line against the veteran Confederates. On the night of November 17, 1864, Pickett’s Division sortied from the Confederate Howlett Line and took major portions of the Federal picket line from the inexperienced Pennsylvanians. This gave Pickett’s pickets a straight picket line (pun intended!) the Confederates hadn’t held since P. G. T. Beauregard chose to voluntarily leave the Howlett Line in order to protect Petersburg in mid-June at the Second Battle of Petersburg. 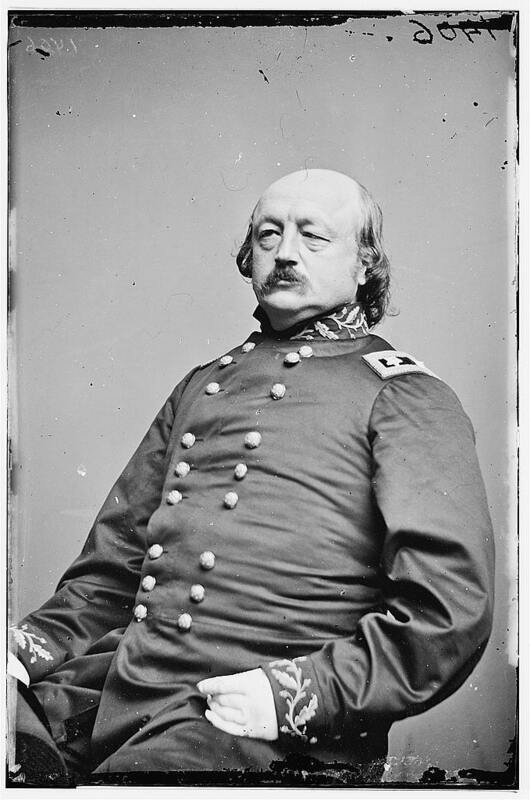 Maj. Gen. Benjamin F. Butler, commader of the Army of the James, believed in Black regiments’ ability to fight. He created the first and only all-Black infantry corps in U. S. military history. Butler was growing tired of these inexperienced men and the real danger of them losing his lines on Bermuda Hundred, punching a hole in the Federal center. In addition, Butler had always held Black troops and their combat abilities in high regard. For instance, he awarded more than a dozen medals of honor to Black troops after their attacks at the Battle of New Market Heights on September 29, 1864. The white infantry troops of the Tenth and Eighteenth Army Corps now with the Army of the James will be consolidated under the direction of the major-general commanding the Department of Virginia and North Carolina, and will constitute a new corps to be called the Twenty-fourth Corps. Maj. Gen. E. O. C. Ord is assigned to the command of the Twenty-fourth Corps and Maj. Gen. G. Weitzel to the command of the Twenty-fifth Corps. That very same day, Butler was issuing orders to his Corps commanders to make the needed changes to effect this new reality. Edward Ord, known to dislike Black soldiers, was happy to command the all-White corps, while Godfrey Weitzel took the new all-Black corps. The Twenty-Fifth Corps was at the time and remains to this day the only all-Black army corps in United States military history. It’s also important to note that this really only applied to the infantry. The White artillery of the Tenth Corps was assigned to the support the Black infantry of the Twenty-Fifth Corps, while the White artillery of the Eighteenth Corps moved on to support the White infantry of the Twenty-Fourth Corps. Very shortly, a portion of the newly reorganized army would board transports and attack Fort Fisher guarding Wilmington, North Carolina, one of the last ports open to Rebel blockade runners. That’s a story not only for another day, but for another site!